DVI Video & Audio 8 Port Splitter. Duplicate one Video+Audio input to multiple DVI+Audio outputs. 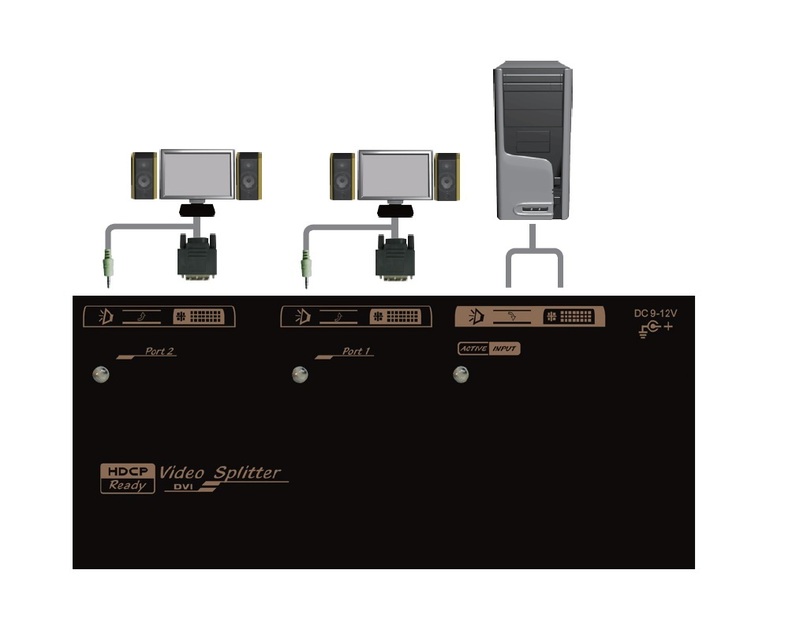 The Smart KVM Video (+Audio) Splitter broadcasts the same video (+Audio) signals from one video (+Audio) signal source to 8 compatible outputs, and the broadcast can be expanded significantly when several splitters are cascaded together.